There are many people I could blog about who got me started and then carried on in their own ways to inspire. So although this might be ever so slightly cheating I’m going to share the stories of the 3 women in the family who helped along the road from absolute beginner to someone who can create their own designs! What was amazing about these women was that none of them saw what they did as special, they’d all knitted through WW2, inspiring my love of recycling. They all had various health issues and disabilities, but never let it stop them having a go, which in turn provided a “life saver” for me when my spinal problems deteriorated. And despite all these challenges and experiencing hardship and tough lives in many different ways none of them ever threw the towel in. Sitting and knitting or crocheting together was a great way to hear their stories too and as I’ve faced some of those experiences myself, I’ve been able to draw strength from knowing that they got through, without all the help and support services out there for us today. 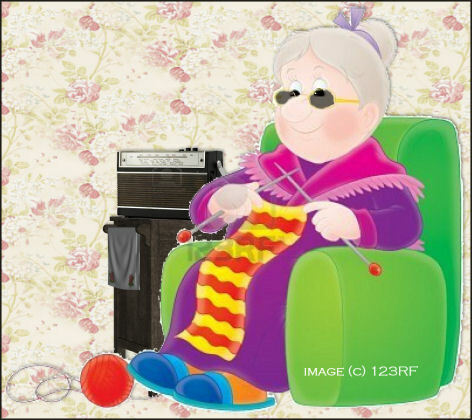 My Mum taught me to knit at 6 – there were tears, tantrums and multiple dropped stitches! 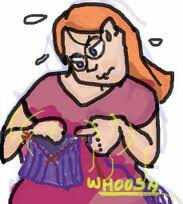 And the mystery of why my work wasn’t growing – bascially Mum would have overtaken James Hunt at the time with the speed she went and I didn’t see her wrap the yarn around the needle so spent a good while passing my stitches from needle to needle! But Mum was a fantastic knitter, the family legend was she only needed to read the pattern once to get it and she’d be away – a skill I often wish I’d inherited. We’d spend afternoons playing in the garden, Mum in the background knitting. Out in the car, Dad driving, us squabbling in the back and yep Mum was in the front knitting! Sadly Mum died of a massive brain haemorrage when I was 7 – but she was the person who kick started my love of knitting, getting me knitting odd looking “squares” to make covers for dolls, full of holes and dropped stitches, weirdly shaped where I’d gained some. And she kept going with patiently casting on again and again. Nan Field – who literally knitted blind! There are so many knitters / crocheters out there who for reasons of their own are heroic, it might be their design skills, their ability to whip up a multitude of gifts for the whole family, knit prolifically for charity. For others even learning to knit is a massive triumph over adversity. Which leads to me to ask…….. who are your knitting heroes? And why?